Cobweb Strange is a British band that play funky, jazzy psychedelic songs. The band consists of Paul Stewart on guitar, Dan Roberts on bass and vocals, and Matthew Roberts on drums, though flute is prominent and I hear keyboards on one tune too. The jazzy parts of the songs remind me of 60's beat jazz, particularly due to the flute style. "Sundials And Solstice" is a funky psychedelic song with trippy flute and a great old electric piano sound. Dan Roberts vocals have a soulful sound that reminds me a lot of Nektar's Roye Albrighton. "It's Alright" opens with a very lounge jazzy feel, but the psychedelic atmosphere prevails. After a while it starts to rock out, though the flute and guitar continue to give a cool jazzy feel, and Roberts vocal style reminds me even more of late-period Nektar. Right from the opening guitar and rhythms of "Calling Mustard" I'm reminded of California band Burnt Noodle. 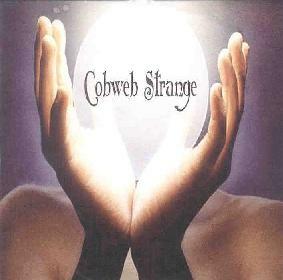 This track is an instrumental and showcases Cobweb Strange's ability to play tasteful jazz rock. I'll be looking forward to hearing the full length CD when it's ready. For more information you can visit the Cobweb Strange web site at: http://www.cobwebstrange.8m.com.